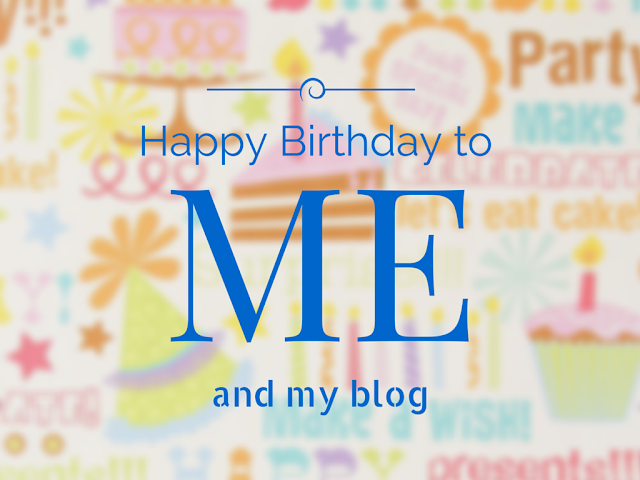 Yep, today is my birthday which means it's also my blogoversary. I started this blog as part of my 40th birthday celebrations and I've been blogging every day since. Not a bad wicket for either of us! Or should that read both of us? I may have been writing for 2180 days straight, but that doesn't mean I've got this writing gig fully worked out yet. Definitely no expert! But I am persistent. And committed. And loyal. The story of my life really. So today this blog and I celebrate our milestones. We celebrate the experiences, the challenges, the wins, the relationships and the purpose. The purpose being to age positively. One fabulous day at a time. PS Daylight savings kicks in today which means we lose an hour. RIPPED OFF!! I have officially got the shortest birthday of the year (yes, even shorter than that winter solstice rubbish). Damn it! Oh well, I guess I'll just have to celebrate harder within the hours I've got. Champagne breakfast anyone? A double celebration - huzzah! Hope your birthday is a happy one - massive congrats on your blogaversary. 2180 days of writing is no mean feat! Here's to many more blog posts, blogaversaries and birthdays - have an ace day! Happy birthday to you and your blog!!! Have a fabulous day! Happy Birthday and blogoversary, hoping you've had a great day. I'd forgotten about daylight savings, now that we are in Perth. Thanks Raych! Love daylight savings ... but always an adjustment period.